When Nick Rabin met with a Print Three franchisee, in 1985, he had no idea their conversation would change his life. At the time of their meeting, Nick had been an established owner of a lumber yard business in Toronto for 15 years, but that would soon change. Since opening in 1970, Print Three has expanded to 50 franchise locations in Canada and has expanded internationally into the United States and Australia. With a commitment to helping Canadian businesses meet their marketing strategies, Print Three has become a reliable leader in their industry using both online and in-person printing services. 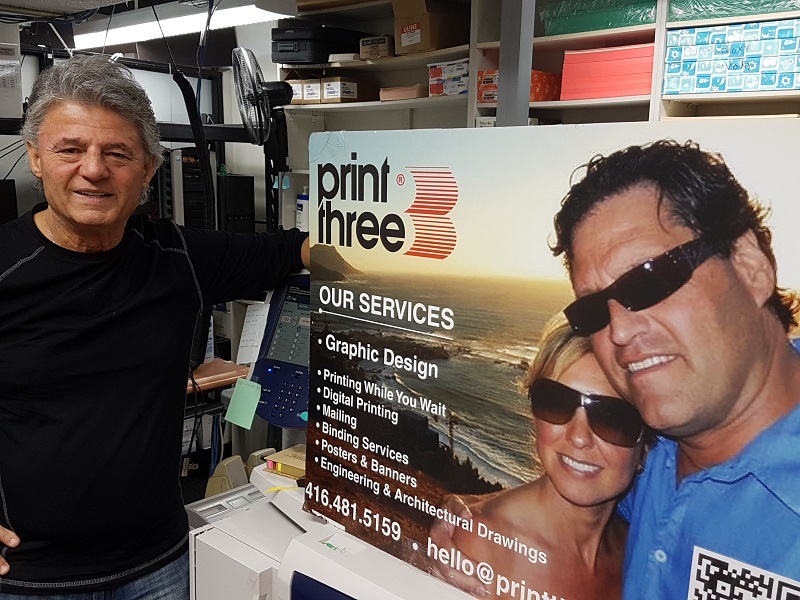 “We are happy to support businesses in their infinite need to advertise, promote, and offer products and services to their customers,” says Andrew Hrywnak, President of Print Three. The company also ensures their franchisees are equipped with the newest information in a changing industry that is seeing more and more people turn to online printing resources. Despite these developments, Andrew says it’s Print Three’s resilient business model that has helped set them apart from competitors. Their adaptability has made Print Three a printing powerhouse throughout the country. They received CFA’s 2016 Franchisees’ Choice Designation for the fourth time and 2012 Silver Award of Excellence in Franchising – recognizing their strong leadership, training, and support – and are always searching for new ways to stay ahead of the curve with CFA’s support. Andrew appreciates the nurturing environment CFA has supplied him and his franchisees, saying they have provided the proper framework to build a successful franchise system.